The government of the Dominican Republic has announced it will increase security along the border with Haiti after the first proven case of cholera in the country was announced on Wednesday. More than 1,250 people have died so far and over 18,000 are reportedly infected in Haiti, where poor sanitary conditions and the abysmal state of the nation’s medical facilities following January’s earthquake and decades of underdevelopment have exacerbated the country’s first epidemic in living memory. The first case of cholera in the Dominican Republic was reported when a Haitian man travelling on a bus in the north west of the country displayed symptoms of the disease shortly after crossing the border. Dominican authorities have said it is virtually certain that the man was infected in Haiti and he is now receiving treatment at a hospital in Higüey, Dominican Republic where he is said to be in a stable condition. 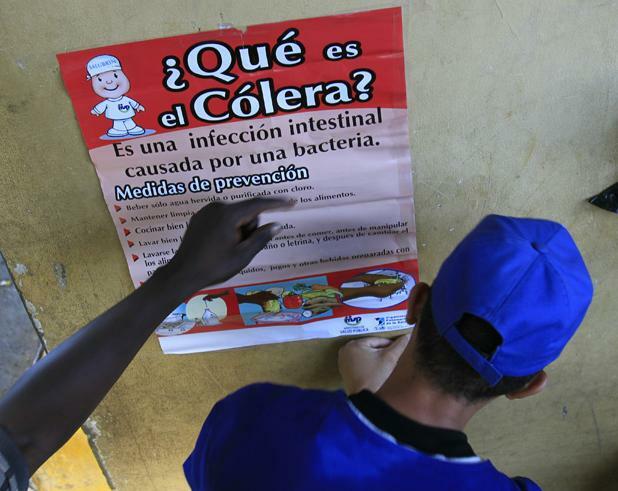 The Dominican government has also begun a public health campaign encouraging people to use disinfectant on their hands to avoid the spread of infection, and controls on Haitians crossing the border have been tightened. This measure is bound to have a detrimental effect on the fragile Haitian economy, as many Haitians earn a living in the Dominican Republic where wages are higher and employment more plentiful. Despite reassurances from health officials, public concern regarding the disease is increasing in the Dominican Republic, fuelled by local press coverage which has warned that more people than the number reflected by official statistics may be infected. Several unconfirmed cholera infections have been reported, with the government urging against jumping to conclusions and maintaining that only one case has so far been definitively attributed to cholera. The Panamerican Health Organization has warned that the number of Haitians with cholera could surge to 200,000 within six months, following the revelation of the first confirmed case on the October 20th. Dominican President Leonal Fernández has reportedly been in talks with members of his government to monitor the effects of the prevention measures implemented, and is keen to avert widespread panic as news stories concerning the epidemic continue to provoke alarm. World Health Organization spokesman Gregory Hartl said it was “completely expected that there will be cases in the Dominican Republic. We are seeing the first signs of these cases and we are working with the government of the Dominican Republic to prepare.” His colleague, Christian Lindmeier said that the WHO “[doesn’t] expect [the rate of infection] to be as high as in Haiti”, attributing the difference to “better sanitary conditions” in the Dominican Republic. Speculation in Haiti regarding the cause of the cholera outbreak, the country’s first in over fifty years, has provoked mass protests during the past week directed against United Nations troops and WHO officials in Cap-Haitien, the country’s second city, and other urban centres. Haitians took to the streets, blocked roads, set fire to a police station and barricaded an airport after the source of infection was traced to a river in the vicinity of a base being used by a deployment of UN troops from Nepal, sparking fears that the epidemic originated outside of Haiti and was brought in by foreign troops. UN troops shot two protesters dead last week and around 20 people were seriously injured following disturbances in Cap-Haitien, with UN authorities maintaining that their soldiers killed unarmed demonstrators “in self defence”. The United Nations’ “stabilising mission” in Haiti, known by its acronym MINUSTAH, has militarily occupied the impoverished country since shortly after President Jean-Bertrand Aristide was overthrown in a bloodless coup d’état in 2004. Aristide maintains that he was forced to resign at gunpoint by representatives of the U.S. embassy, while the U.S. government has dismissed this allegation, calling it a “conspiracy theory”. 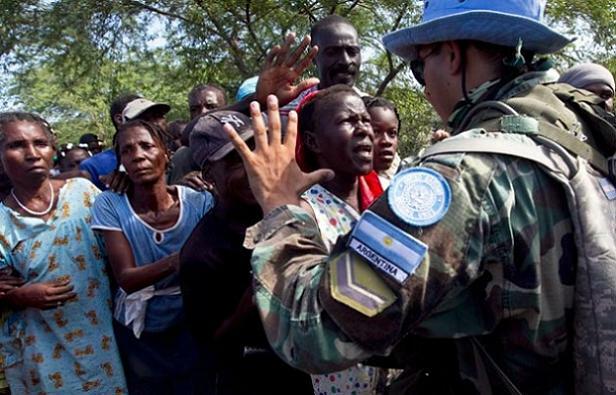 The UN mission is deeply unpopular among many Haitians, who see the presence of armed foreign troops on their soil as an ongoing indignity and affront to national sovereignty, whereas the Haitian government maintains their presence is necessary because of security concerns. Aristide is not permitted to take part in Haitian elections, and in a recent interview stated when questioned that “the evidence strongly suggests” that the cholera epidemic the country is currently enduring was “imported”, but did not say from where or by whom. The story of former Guatemalan Interior Minister Carlos Vielmann, currently residing in a Spanish prison, underlines the problems that have dogged recent efforts to increase accountability for crimes against humanity in the country. Having established the International Commission Against impunity (CICIG), which operates under the jurisdiction of the United Nations, with the intention of bringing those involved in human rights abuses in Guatemala to justice, Vielmann currently stands accused of responsibility for seven extrajudicial killings as well as a litany of other offences. Vielmann, a Spanish national who was a long-term resident of Guatemala prior to assuming a post in the country’s government, had previously headed up the Anti-corruption & Transparency Commission in the Central American nation, and was instrumental in setting up the CICIG shortly after taking office under President Óscar Berger. The former Interior Minister now stands accused of having ordered the killing of seven men suspected of involvement in organised crime, in addition to money laundering, drug trafficking, kidnapping, extortion and robbery. Vielmann led a raid on the penitentiary of El Pavón in September 2006, which at the time was reportedly controlled by criminal gangs and used as a base for kidnappings and robberies, with national media praising the Spanish national for his role in exercising justice against perceived degenerate elements within Guatemalan society. It has now emerged that Vielmann is charged with having ordered the murders of seven prisoners during the raid, and adding to the intrigue surrounding the case, it is the body he established in order to prosecute human rights abusers in the country in his capacity as Interior Minister that has come back to haunt him. 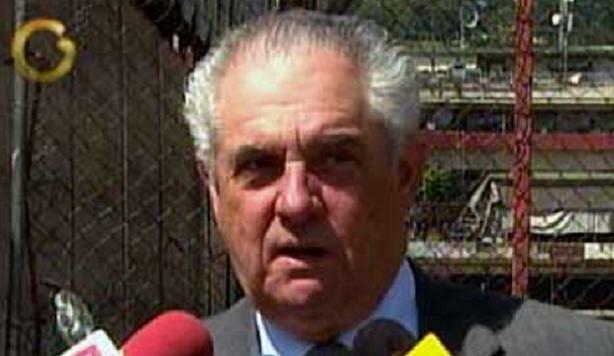 The Guatemalan vice president during Berger’s reign, Eduardo Stein, has said that correct judicial procedure has not been followed, and that Vielmann’s detention by Spanish authorities violates certain legal norms including the right of the defendant to see the charges being brought against him. Stein said the former Interior Minister was being “politically manipulated”. The CICIG has come under severe criticism in the past for failing to punish those higher up within the country’s political establishment, whilst pursuing lower-level wrongdoers. The body’s president, Carlos Caestresana, resigned in June, citing anger over constant personal attacks on his character from members of the Guatemalan establishment and a sense of impotence in terms of bringing those responsible for atrocities to justice. “I can not do more for Guatemala than what I’ve done”, said Caestresana as he left the organisation, accusing the Guatemalan state of shielding powerful individuals from prosecution despite considerable evidence of their culpability. Observers have drawn attention to the so-called “culture of conspiracy” that prevails in Guatemala, with prominent figures routinely escaping condemnation and punishment for serious misconduct and abuses of power, and it is exactly this type of behaviour that the CICIG was created in order to restrain. Despite the predictible protestations of the former vice president, the case against Vielmann appears strong, and he and others have been implicated in a wider organised crime network that stretches back to the 1980s at least and had tentacles in several other regional right-wing governments of the era. The incident at El Pavón prison is that which has received most attention in the national press. After the operation received acclaim and its perpetrators praise for taking a hard line on “criminal elements”, it later emerged that Vielmann’s squad had drawn up a list of targets prior to the raid and executed them upon arrival. 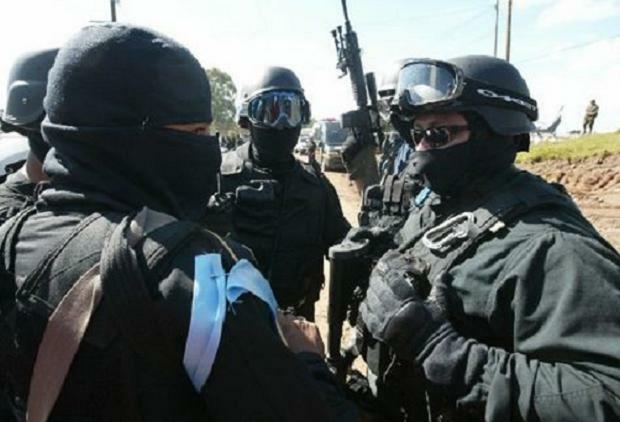 It is suspected that the killings might have been ordered so as to eliminate competition from private criminal gangs on the part of elements within the Guatemalan government involved in the lucrative drug trade. President Hugo Chávez this weekend reiterated his demands that Guillermo Zuloaga, the major shareholder in Venezuelan private television news network Globovisión, return to the country in order to face charges of usury, and condemned the channel for its strong condemnation of the Venezuelan government while Zuloaga remains at large. The president said Zuloaga should either return to Venezuela and face the charges against him or run the risk of the state taking over his business. Caracas formally lodged an international arrest request with Interpol in June, however the media owner has dismissed the charges against him as “absurd”. Zuloaga has said that he doesn’t think the United States government, which gave support to the agents of an abortive coup against Chávez in 2002, would comply with his extradition. Yale University and the Peruvian government have reportedly signed a deal that will see thousands of articles extracted from the ancient city of Macchu Picchu returned to Peru beginning in 2011. 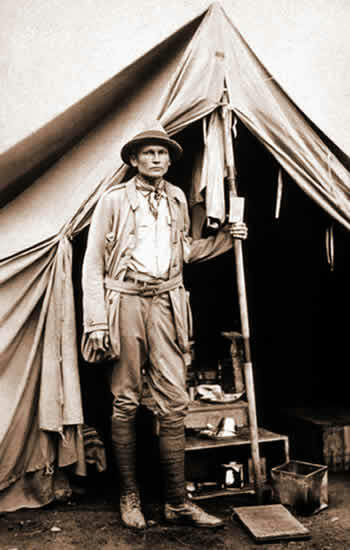 Peruvian President Alan García announced that the objects, which were taken to Yale’s Conneticut campus in the early twentieth century after U.S. explorer Hiram Bingham “discovered” the site, will be returned “in their totality”. March 2011 is the provisional date of return for the first fragments of history, and the deal marks the end of a bitter battle between the two parties which had previously seen Peruvian pleas fall on deaf ears with the university’s administration. The event is particularly gratifying for campaigners from Peru, many of whom had expressed doubt that their petition would ever be realised. Former Mexican President Ernesto Zedillo, acting as Yale’s envoy to Lima, commented on the “sensitive nature of this issue for the people and government of Peru” and acknowledged that popular opposition had played a significant role in the decision to repatriate the material. President García has said that the items will be displayed at an “air-conditioned exhibition centre” in the city of Cusco, the closest major municipality to the ancient city. García made no comment regarding the benefit of such a display to the local community, which has in recent years witnessed huge sums spent on tourist infrastructure and the preservation of historic sites while much of the population in the city and surrounding area lives mired in extreme poverty.